You have probably heard how wonderful virgin coconut oil or VCO is. Perhaps you want to try it yourself or offer it to your family to enjoy its known health, nutritional and beauty benefits – or more probably, you want to share such 100% natural product to the world by distributing or retailing it to consumers. Selling virgin coconut oil is a great business since you are not only offering an in demand product but you are also helping people to be healthier inside and out. The Philippines is considered one of the world’s leading producers of virgin coconut oil. As a tropical archipelago, our country is one of the most favorite sources of coconut products in the world. If you’re an end-user of virgin coconut oil, you can simply look for virgin coconut oil in the grocery shelves, as this product is already widely available in the market. But if you are looking for manufacturers and bulk suppliers of VCO for your business needs, here are some tips on where to find them. 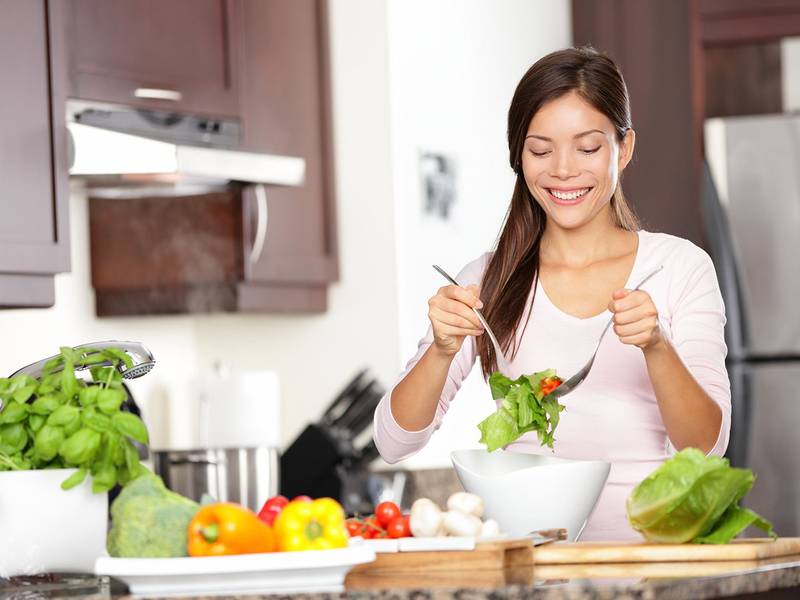 The quickest thing to do if you are looking for virgin coconut oil suppliers from the Philippines is to connect to the Internet and use search engines like Google. Most virgin coconut oil manufacturers in the Philippines have websites and pages which are indexed by Google. 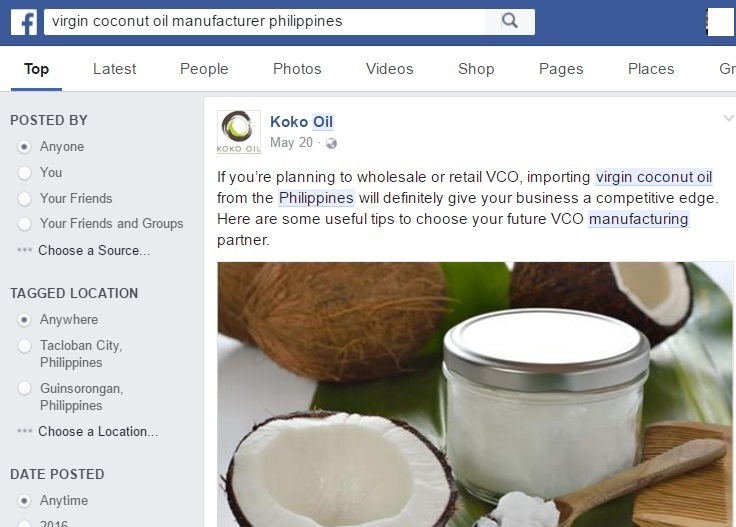 Simply use queries such as “virgin coconut oil manufacturers in the Philippines” or “virgin coconut oil suppliers in the Philippines” to let Google show a list of websites owned by quality VCO producers and suppliers from our country. The Virgin Coconut Producers and Traders Association of the Philippines or VCOP was organized in 2003 with the mission to make the Philippines the leading global supplier of quality virgin coconut oil. 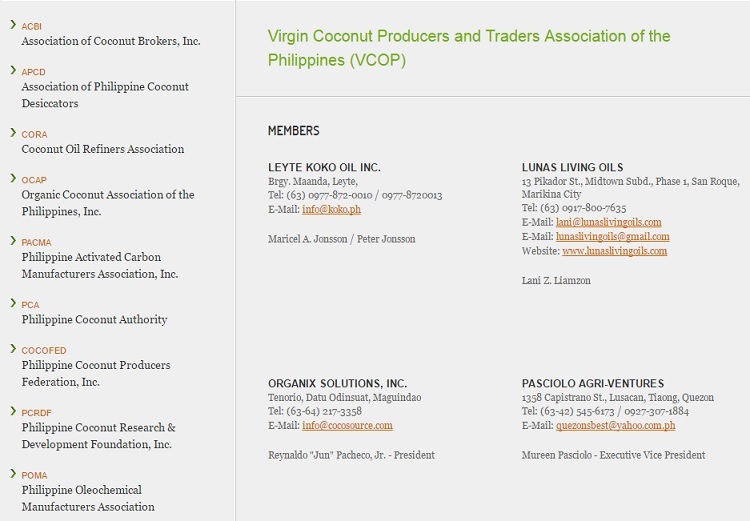 To find reliable virgin coconut oil manufacturers, traders and exporters in the Philippines, check out the list of VCOP’s members in its directory. The directory lists all VCOP’s members. It also displays the address, telephone number, email, website and even the names of owners or managers of each member company so you can contact them anytime. 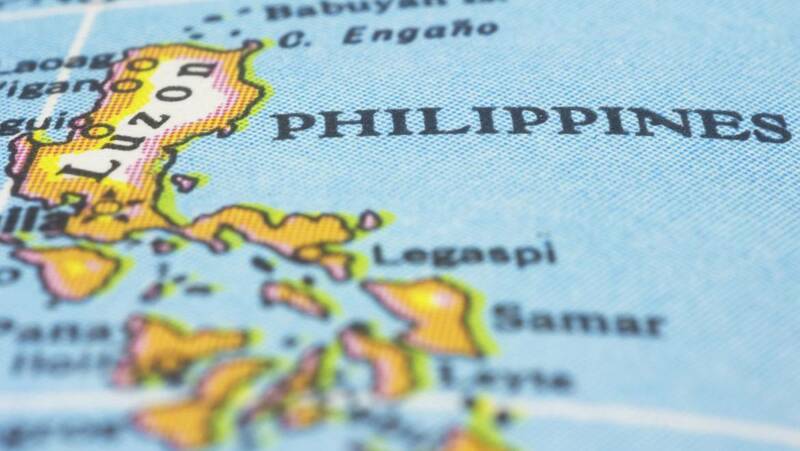 The Virgin Coconut Producers and Traders Association of the Philippines (VCOP) has an online directory where you can find potential VCO suppliers from the Philippines. A B2B marketplace is a business-to-business online e-commerce platform where manufacturers, wholesalers and international traders meet, negotiate, and sell or buy products. Unlike a B2C marketplace that caters to end consumers, a B2B marketplace is catered to bulk sellers and bulk buyers. 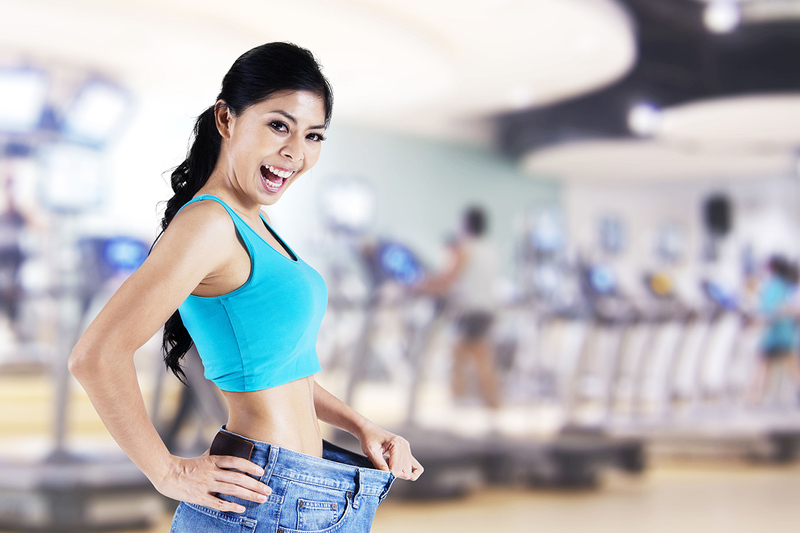 If you’re looking for bulk suppliers of virgin coconut oil, you can use Alibaba. Alibaba is the largest B2B marketplace where you can find virgin coconut oil suppliers from all over the world. If you are only searching for suppliers from the Philippines, you can use its advance search system to filter specific search results. 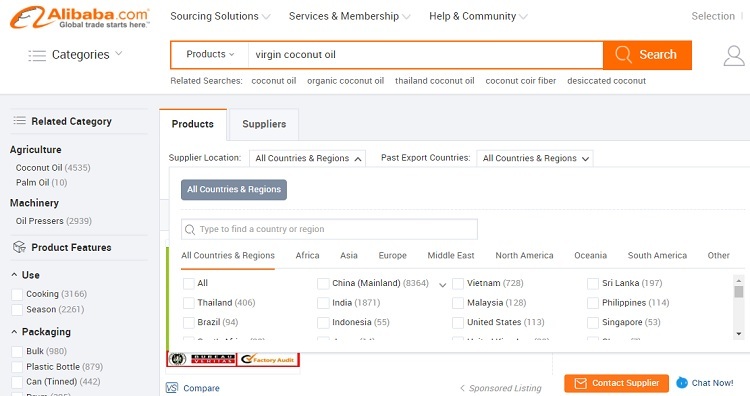 You can use Alibaba to specifically search for your potential suppliers of virgin coconut oil from the Philippines. Alibaba and other B2B marketplaces have e-commerce features that will enable you to contact suppliers, chat with them, and send requests for quotations. The social media giant may not be an online platform for B2B transactions. However, Filipinos are active Facebook users. They use the social network, not only for making friends and chatting with them, but also to promote products, run businesses, and keep in touch with partners and customers. Hence, you can expect VCO producers and suppliers in the Philippines to use the social network for their business and marketing needs. Facebook also works as a search engine. To find potential virgin coconut oil suppliers from the Philippines, simply search “virgin coconut oil manufacturers” on Facebook search bar. The social network will display a list of links, photos, videos, places, pages, groups and posts related to such keywords. Koko Oil regularly shares on Facebook highly informational articles about virgin coconut oil and its benefits on health, beauty and nutrition. Trade shows, specifically food exhibitions, are events that you shouldn’t miss if you’re looking for potential suppliers of organic foods, such as virgin coconut oil. 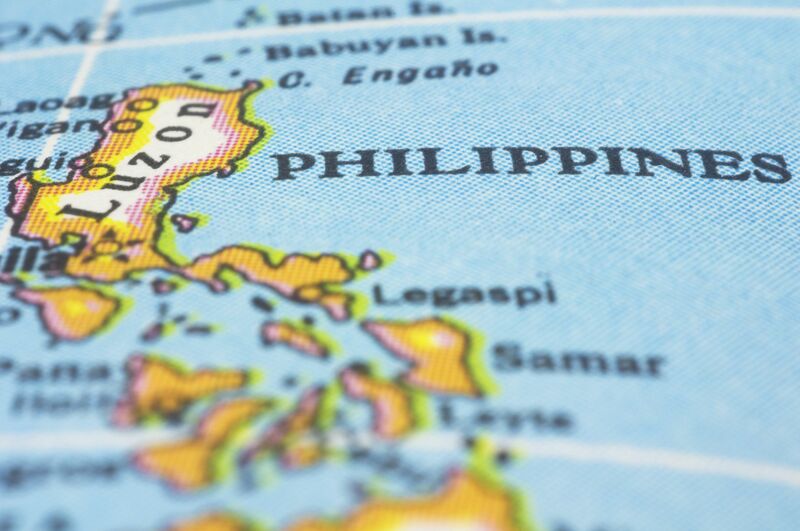 Whether international or local, there are a number of virgin coconut oil producers from the Philippines who actively participate in food exhibitions. For exhibitors, it’s a great way to meet potential partners, wholesalers and bulk buyers. For participants who are looking for long-term suppliers, it’s the best way to meet potential partners and start a long-term business partnership with them. You may want to join the IFEX Philippines this coming May 19-21, 2017. IFEX Philippines is the country’s biggest international trade exhibition on the Philippines’ and Asia’s ethnic and specialty food, as well as natural, organic, and healthy food products such as virgin coconut oil. If you’re in Japan or you can visit the country, you may also join the FOODEX Japan 2017 which will be held in Makuhari Messe on March 7 – 10, 2017. The FOODEX JAPAN 2017 or the 42nd International Food and Beverage Exhibition will be attended by exhibitors from 78 nations, including the Philippines. Hence, consider this to be in your bucket list if you are looking for virgin coconut oil suppliers from the Philippines. The virgin coconut oil trade is an important industry in the Philippines. That is why the government, through the Philippine Coconut Authority and Department of Agriculture, is setting high quality standards to protect it and ensure that the industry and its stakeholders advance in the long run. Whether you’re living in the Philippines or you’re from overseas, if you are looking for high quality virgin coconut oil partners for your business, you can always find them in our tropical country, the Philippines. Just follow the simple tips above, and you will surely find several premium VCO suppliers to choose from. Of course, you may also consider Leyte Koko Oil, Inc. If you’re looking for 100% organically grown raw virgin coconut oil which are produced through cold pressed centrifuged process, you are always welcome to contact us and visit our manufacturing plant in Leyte to personally check and experience our love for virgin coconut oil, our local community, and our Mother Nature.